Chakra is the Sanskrit word for 'wheel' and in ancient Eastern traditions chakra is the word used to describe swirling energetic hotspots all over the body. There are thousands of chakras from the tips of your fingers to the bottoms of your toes. However, there are seven major chakras that run from the base of your spine to the crown of your head. These seven chakras are what are commonly referred to when people talk about the body's energy centers. Chakras, as mentioned above, are energy hotspots all over the body that fuel the body's entire energetic system with divine energy (also called prana or chi). Because everything in the world is made of matter, and matter is made of energy, we know that everything in the world is made of energy. Chakras are the energy centers found in all living things that keep them radiant with life. 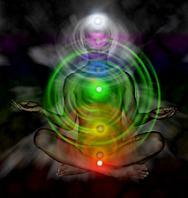 Energy flows into and out of chakras which use it to energize the body's meridians (or energetic blood stream). In addition to fueling the meridians, chakras directly provide the body's organ systems, tissues, muscles, and cells with energy to flourish. Because physical and emotional toxins can clog the chakras, sometimes energy becomes blocked or stagnant and the organ systems the chakras feeds becomes deficient. Keeping your chakras healthy and clean is important in ensuring optimal physical health for your body. 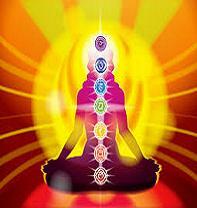 The seven major chakras not only fuel the physical body with energy, they energize the emotional body as well. Each chakra is responsible for different emotions, feelings and perceptions correlating with aspects of your life. In fact, often times it's the emotional portion of our being that controls the physical outcome. What this means is that often it's an emotion, or an emotional tie to a situation in our lives that leaves our chakras depleted of energy. Negative emotions are responsible for many of the toxic clogs that result in our chakras being partially blocked. Because of this, many physical ailments or physical dis-ease is a direct result of years of emotional turmoil. The tricky part with emotional dis-ease is that it's not always known; meaning it may not always be stored in the 1/6 of the brain we use, called the conscious. Rather it is stored in the other 5/6 of the brain, or the subconscious. The subconscious can store many past emotional disturbances that may not have registered consciously but have deeply affected you on a subconscious and energetic level. The good news is there are ways to clear our unwanted subconscious beliefs, conscious beliefs and the chakra centers. 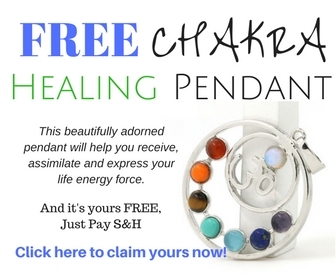 There are many techniques used by energy medicine practitioners to heal and restore balance to the chakras, as well as unravel negative programs being held in the brain and body resulting in emotional and physical dis-ease. Article Source/About the Author: Kirsten Nagy is the Co-Owner of Prana Energetics, a Denver, CO based holistic healing center. She is a certified Master Holistic Nutrition Therapist and Energy Medicine Practitioner who believes the root of healing lies in empowerment. She teaches her clients how to love, strengthen and heal themselves. Kirsten Nagy specializes in Holistic Nutrition Therapy, Energy Medicine, Detoxification Protocols, Acupressure, Kinesthetic Testing and EFT. For more information please visit her website, http://www.pranaenergetics.com.